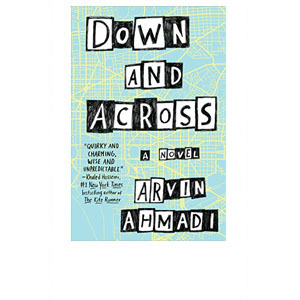 I picked up Arvin Ahmadi’s book, Down and Across. a bit later than I usually do. 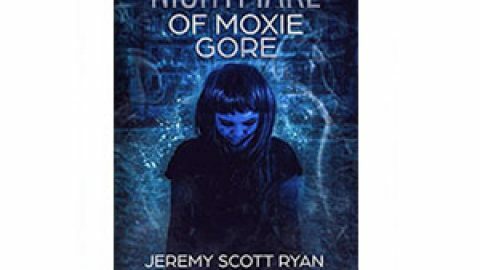 I prefer to get the debut authors right when they first release, but it was different enough from my usual fare that I decided to give it a try. So what’s the verdict? Buy it or not? I’ll give that a qualified maybe. Here’s the thing. This book has lots of things to recommend it, and lots of things that need a bit of work. We’ll go through them one at a time, and in the end, you might have to decide for yourself. I’ll start with the story concept, and then move on to the positives, and end with the negatives. Underachieving protagonist Scott Ferdowski is a typical teen with helicopter parents. They’re immigrants, and demand that he overachieves. He’s an introvert with low ambition, and doesn’t have it in him. He meets the archetypal wild child in college student Fiona Buchanan. She is the exuberant, hedonistic, live-in-the-moment type, and she takes Scott on an adventure to find himself. One thing I’ll give Ahmadi, he creates unique and interesting characters. A lot of debut authors make the mistake of only giving personalities to the main characters, and everybody else is just a mindless clone with a purpose, and not much else. That’s not the case here. From the protagonist to Fiona, Cecily, and the rest, the characters a vivid and distinct. That always makes for potentially interesting interactions, when widely differing personalities collide with each other. Ahmadi handles this well, and that’s probably the biggest strength of the novel. The dialog is another strength. Ahmadi creates plausible, readable teen-speak, yet still manages to keep his characters distinct in their speech idioms. It’s a neat trick, and on full display in Down and Across. At times, Down and Across is intelligent, funny, and even occasionally moving. Ahmadi doesn’t produce heart-wrenching drama or gut busting laughter, or Confucian philosophy. It’s more toned down in all three areas. It’s quirky and succinct, solid in a spectrum of emotional content, but not exceptional. Despite the John Green comparisons, Ahmadi doesn’t reach that level. The writing itself is strong, although there were a noticeable number of repeated phrases like “suddenly”, and “we laughed tremendously.” Not enough to damage the story at all, though. The John Green comparisons in the Amazon ad were appropriate, although it’s no surprise that I think Ahmadi hasn’t yet reached the John Green level. Still, if you like that feel, then this book might be promising. Probably the single biggest negative, for me, what the thinness of the plot. It was more like a theme than a plot. If you read over the story concept above, it will sound familiar. Really familiar. It’s been done before relentlessly. For me, this novel had an odd, almost Seinfeld feel. You know, a very tactical television program about mothing. Down and Across is pretty much the angsty-teen-coming-of-age-quirky-drama version of Seinfeld. That’s the big reason I appended a caveat to my recommendation. If you prefer character interactions over plot, then this novel might be a good fit for you. But if the plot is important, if you want an author who keeps you guessing, then you won’t like Down and Out at all. That last bit is another issue I had with this book. I’m in the camp that likes a feeling of discovery. I like characters that surprise me. I like the epiphany moments. I like saying to myself “Oh, man, why didn’t I see that coming? It was all there, and somehow, I missed it.” You don’t really get any of that with this book. The author is clear about what’s going on, dwells on it for brief periods of time, and then moves on. The ending is yet another let-down (for me). In a standard story, the story goal is laid out early, and the protagonist pursues it throughout the story. In Down and Across, the ending involves solving a problem that didn’t actually exist at the start of the novel, and was created by the characters themselves just before solving it. IT left a very unsatisfied taste in this reader’s mouth. With a mix of positives and negatives, this is a tough call. 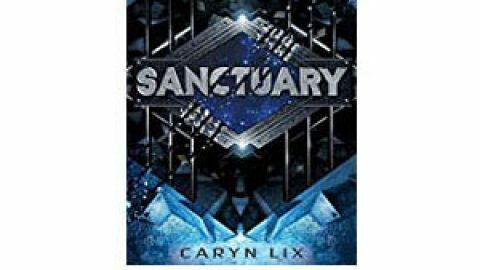 In general, I think it’s one of those books that readers will either love or hate. So under the assumption that you are, in fact, a fan of John Green (and possibly character-driven, Seinfeld-like, stories about nothing), then I’ll de-emphasize the negatives associated with those things. That brings me to a rating of 4 stars.